Healthy teeth are a critical component of your overall health. The condition of your mouth can play a large role in promoting the emergence of illnesses and infections throughout the rest of the body. For many of us diminished oral health is usually a result of poor dental hygiene which can lead to gingivitis, gum disease, and tooth decay. Since the mouth is a significant source of bacteria, oral infections and gum disease are a constant threat which is why we must brush our teeth with regularity. Failing to do so can bring about long-term effects that can impact the heart by way of endocarditis and other forms of cardiovascular disease. These can occur when elevated levels of bacteria are allowed to get into the bloodstream and move into the heart. Increases in bacteria can also lead to a hardening of the arteries and you can even start to develop respiratory issues such as pneumonia. All of this can occur because you aren’t taking care of your oral health and it’s even more urgent for individuals who are already suffering from diseases and disorders such as diabetes, osteoporosis, and HIV to care for their mouths. Poor oral health can weaken the immune system and other body functions that are essential for fighting infection. But there’s another factor that can have a dramatic impact on your oral health and your overall well-being and that’s stress. We all know high stress levels can be detrimental to your health but what you may not have realized is that stress can have an adverse effect on the condition of your mouth. Stress can bring about a variety of health-related problems, it’s not good for your heart and it can have a serious impact on your mental and emotional health as well. Stress is also bad for your teeth and gums because it can bring about all kinds of potentially damaging impacts to your mouth. The following are some of the most common effects that stress can have on your oral health. If you are currently experiencing any of these types of symptoms, it could be due to exceptionally high levels of stress in your life and you might want to schedule an appointment with one of our dentists at Midlothian Family Dentistry. Do you wake up in the morning with an aching jaw or a headache. It could be due to you grinding your teeth in your sleep. 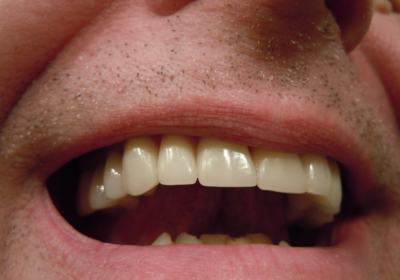 The clinical term is bruxism and it could lead to some serious dental issues down the line. When you are grinding your teeth you’re subjecting them to possible damage in the form of cracks or fractures. Grinding or gritting your teeth is usually a result of your brain dealing with too much anxiety and while you may think that sort of thing subsides while you’re asleep, think again. 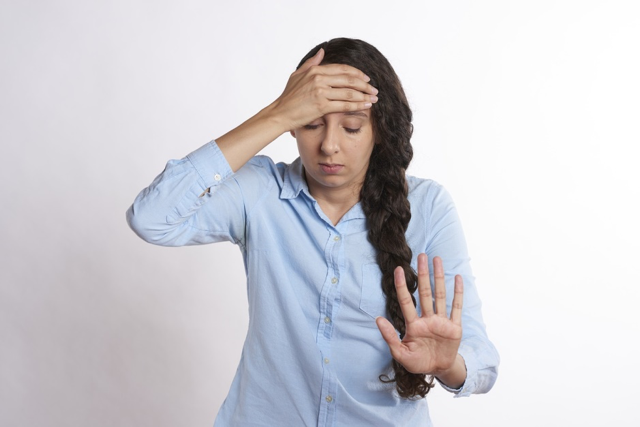 Stress can be so overwhelming that your brain is still trying to deal with it even when you’re sleeping and that can manifest itself through a gnashing of your teeth. TMJ or Temporomandibular Joint Disorder is an extremely uncomfortable condition that occurs when your jaw is out of alignment. Stress can also be the main culprit here as you may knock it out of alignment when you routinely clench your jaw. You could be doing it without even realizing or you may be doing it in your sleep. TMJ can also occur as a result of your bruxism and it’s a very painful condition that can make it extremely difficult to speak or eat. Simply opening your mouth all the way can be virtually impossible without severe pain and discomfort in the most extreme cases. Fortunately, this is a curable condition that will require you to wear a customized mouthguard at night while you sleep. Doing this will put the jaw back into alignment. These small ulcers can bring about a lot of pain and they can take weeks to heal. Stress is one of the leading causes of canker sores in the mouth and if you’ve ever had one, you know how uncomfortable they can be. Some of them can get so deep and large that you could living with it for an extended period of time, making it tough to eat or drink. High levels of stress can cause multiple sores to crop up both inside and outside of your mouth. Unfortunately, there isn’t a lot you can do to make them go away any quicker, you just need to let them run their course. « How Long Does It Take To Heal From Hand Surgery?